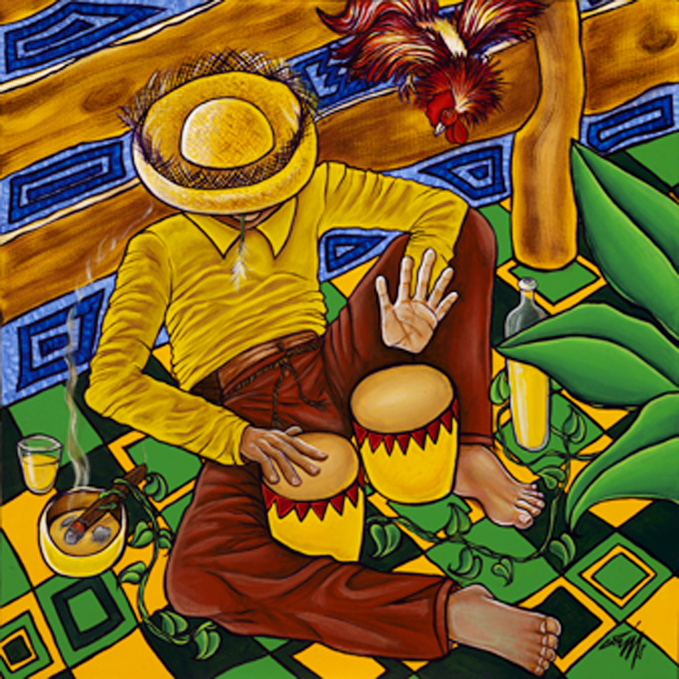 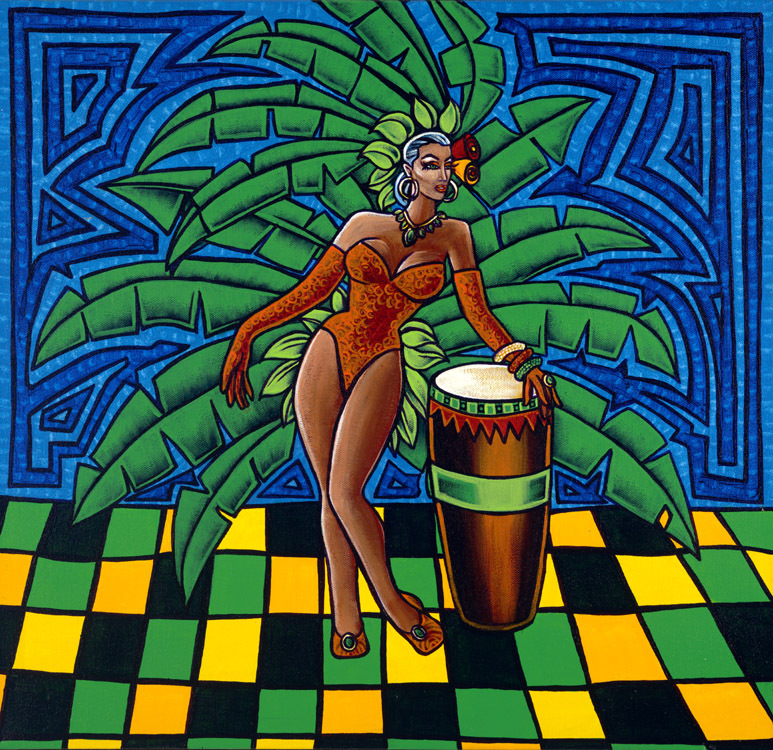 This body of work is an exploration of my Cuban/Caribbean culture and roots. 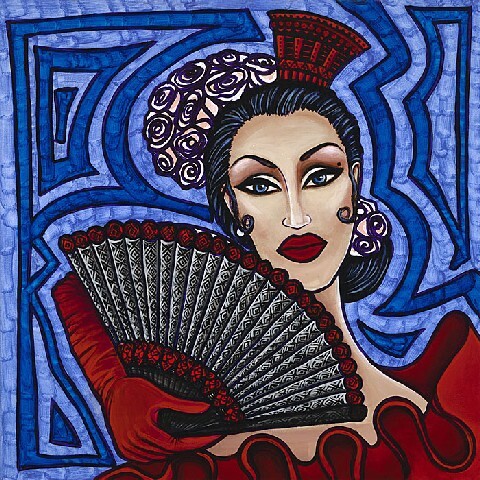 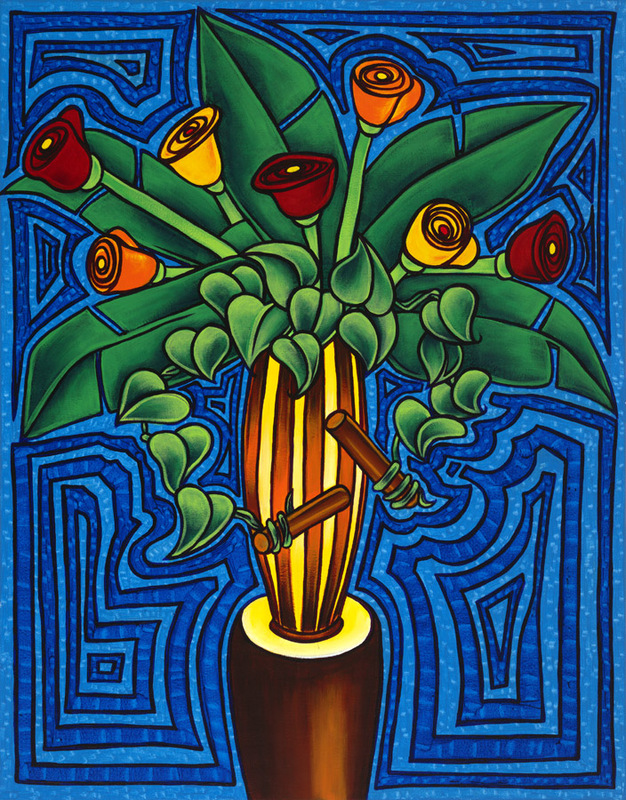 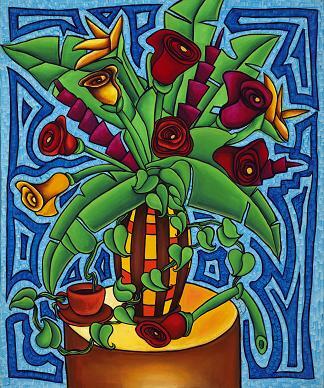 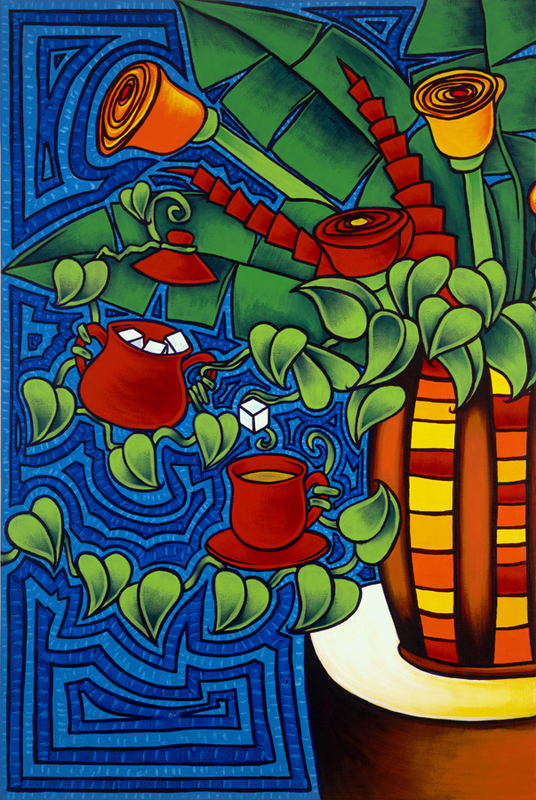 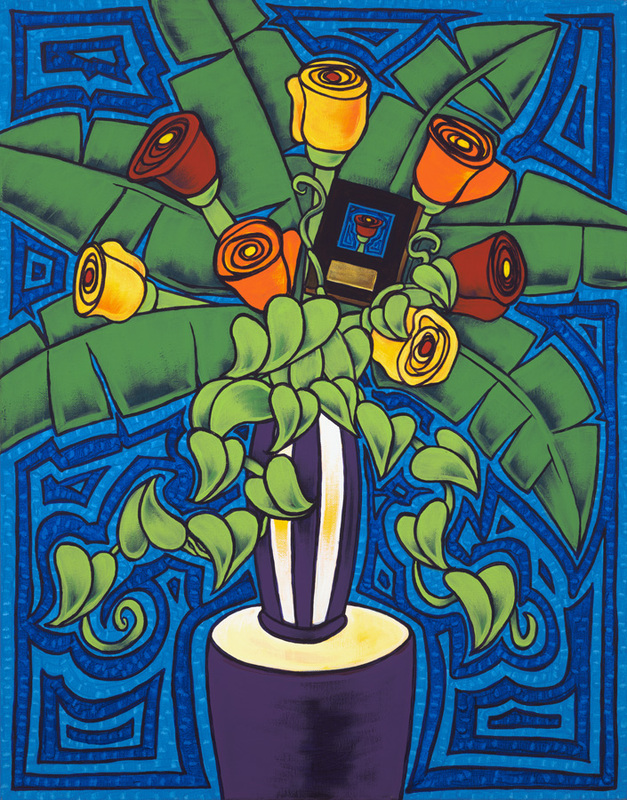 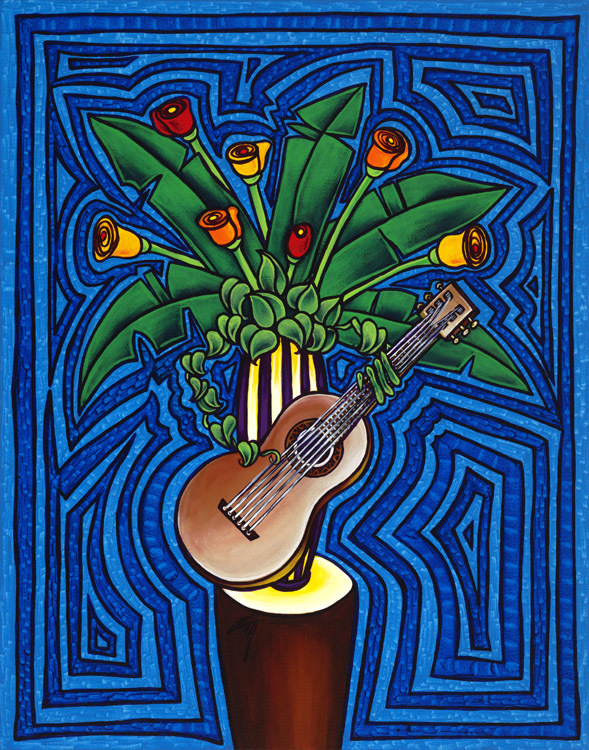 The paintings reflect the bold and vibrant colors of the stained glass, and with my signature double-blue backgrounds, representing Day and Night, they also provide an illusion of being three-dimensional. 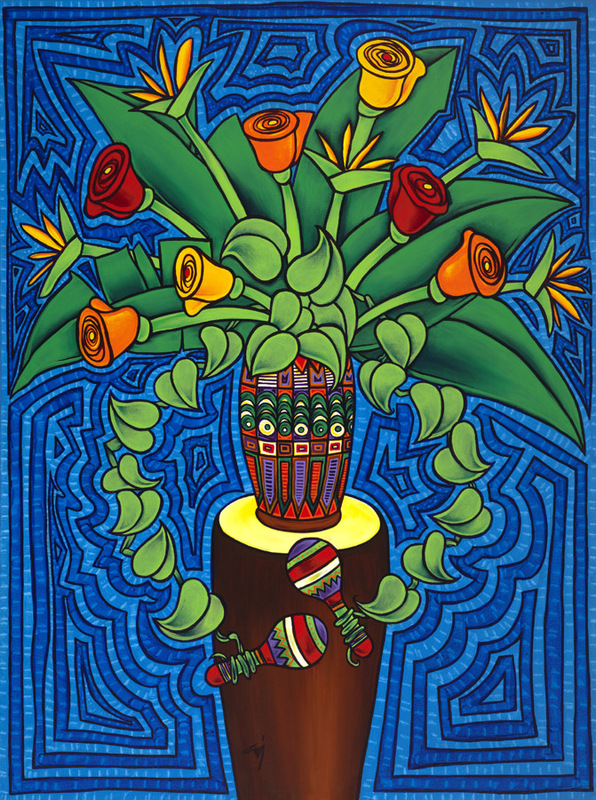 The paintings have also been compared to Panamanian "molas," appearing to be embroidered, but in fact they are not. 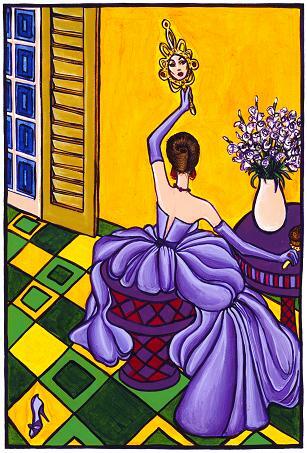 It is, in a sense, a hypnotic illusion that all that is seen is perfect and functional when in fact, it is not. 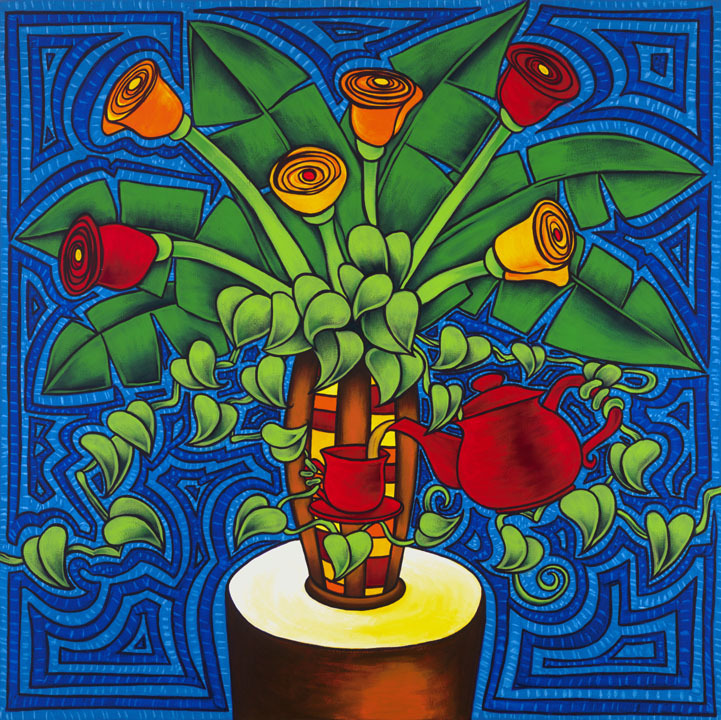 Many of these paintings contain "malangas" (vine-like plants) which have a secret life of their own that is only revealed to those willing to study them. 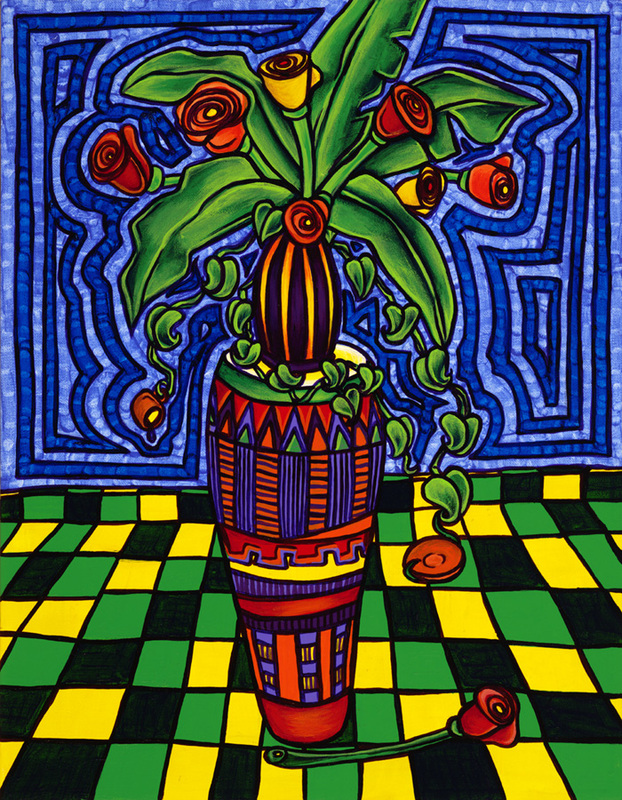 To study them is to slowly discover the unique world of these apparently insignificant plants -- rhythmic, magical, and harmonious with its surroundings and all other living and non-living things -- telling us their secrets. 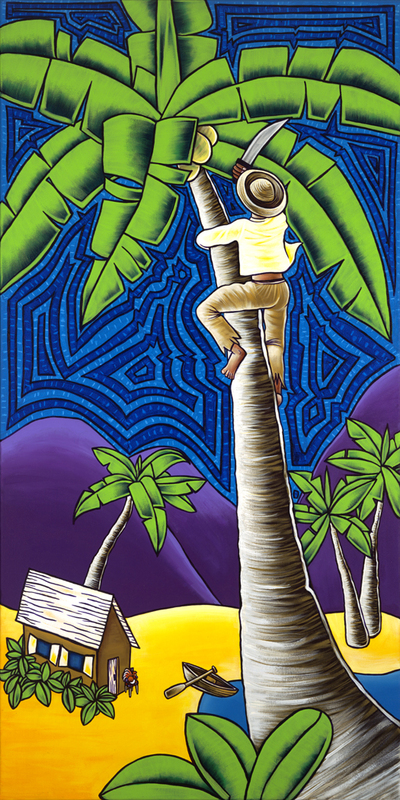 Because of my strong belief in human rights and the liberty to speak what is on your mind, these paintings also serve to remind us all of the stagnation and ongoing situation in Cuba and all countries ruled by dictatorship. 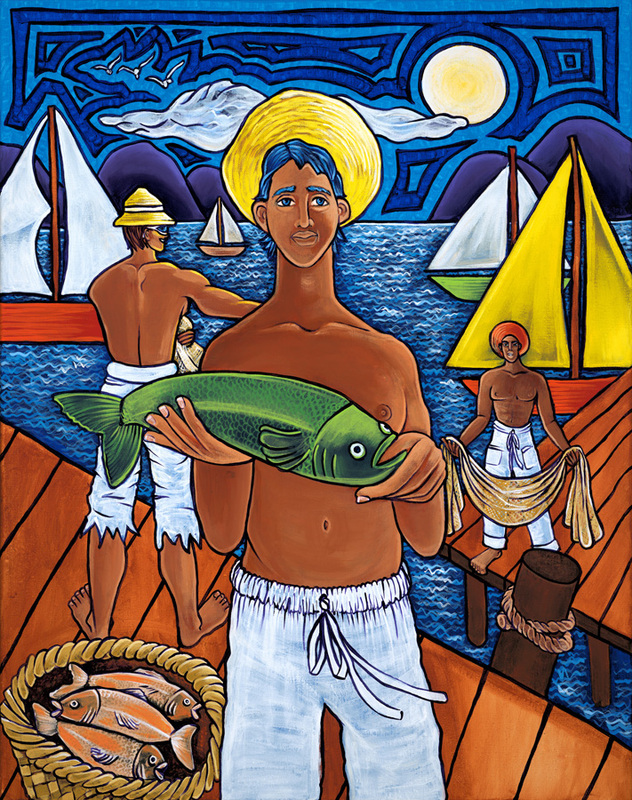 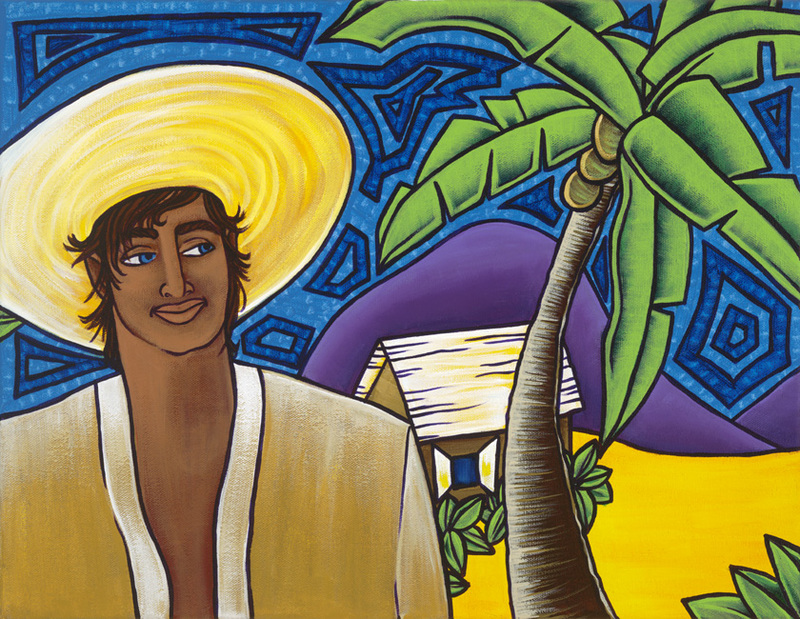 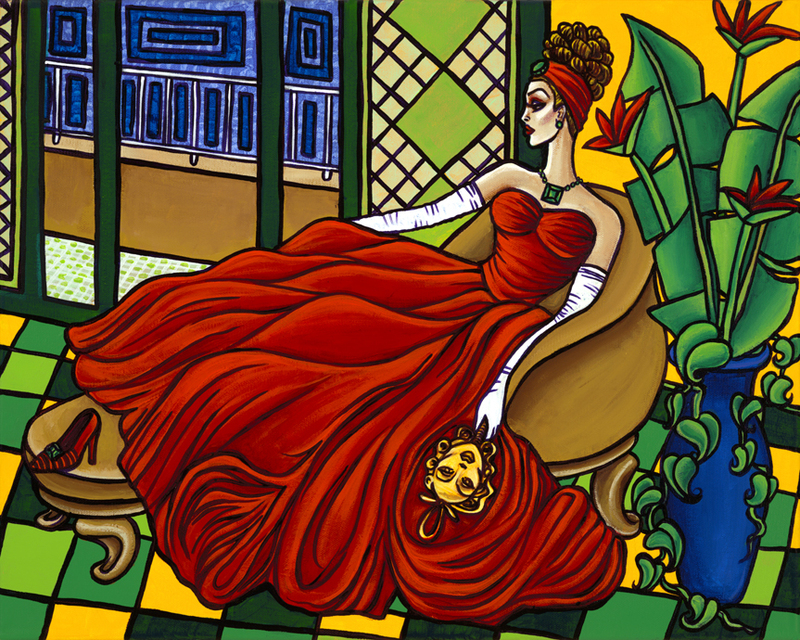 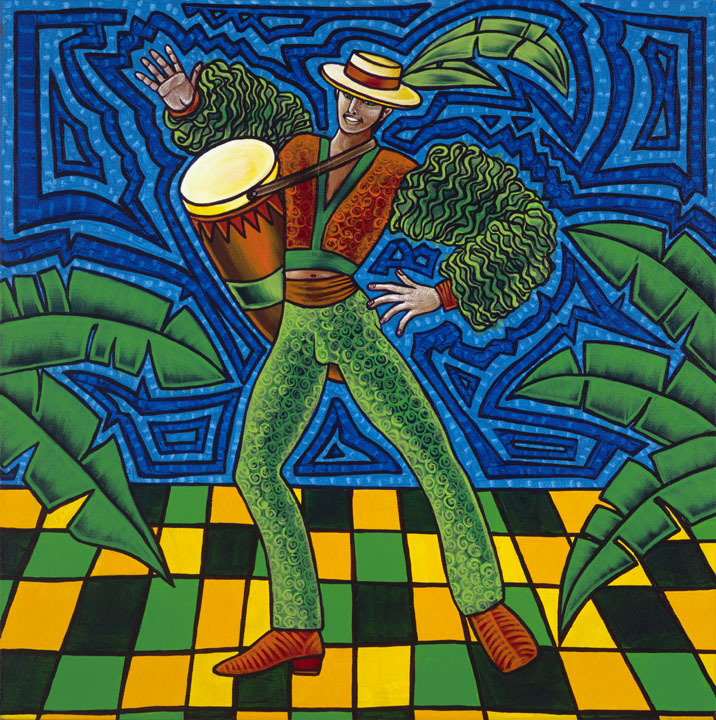 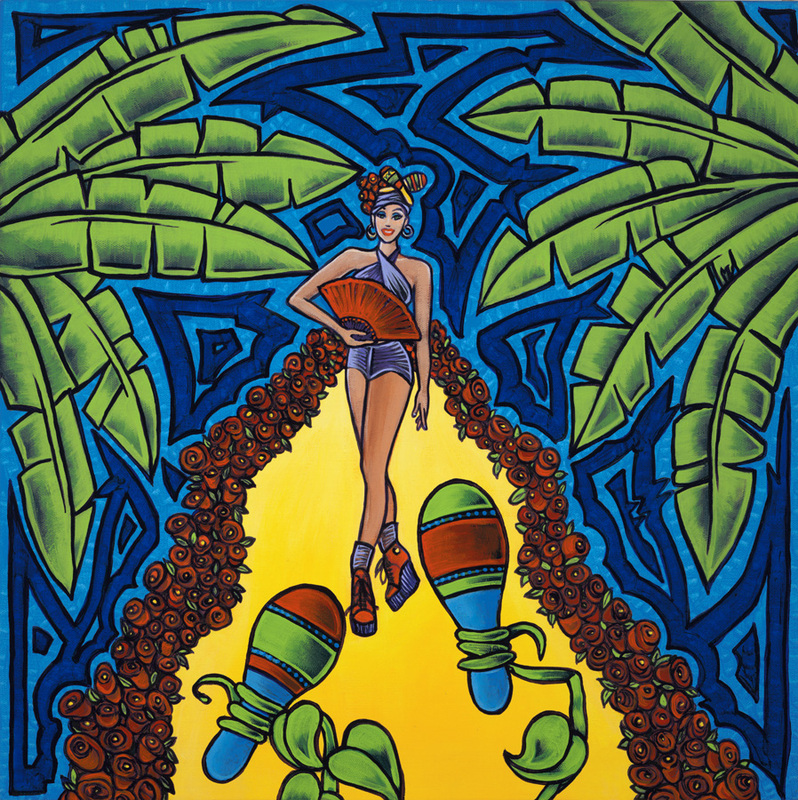 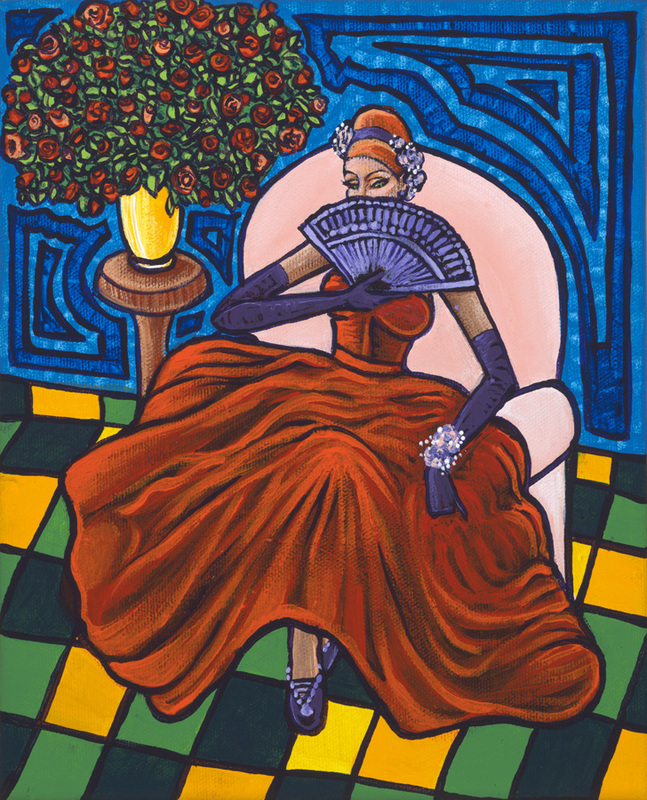 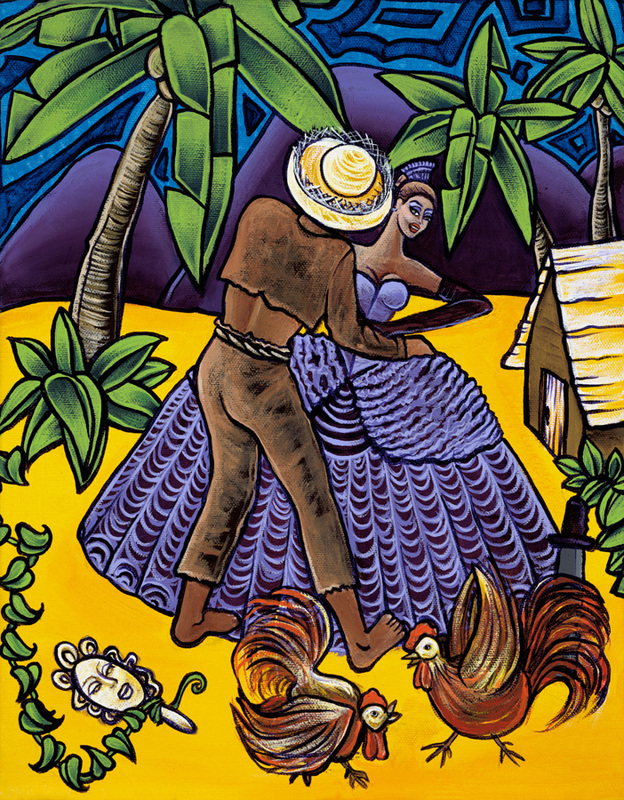 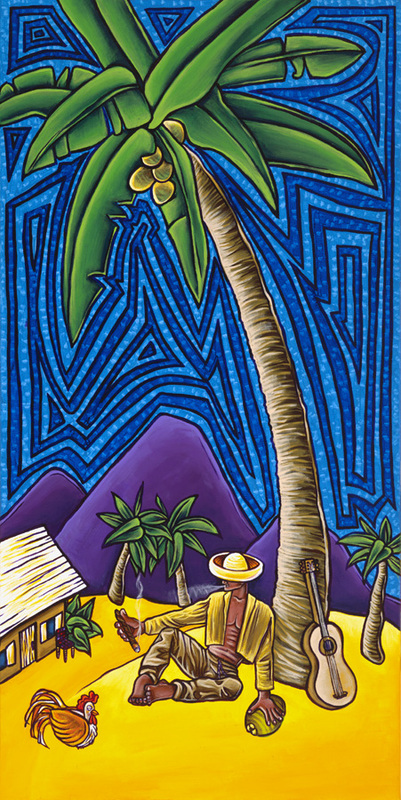 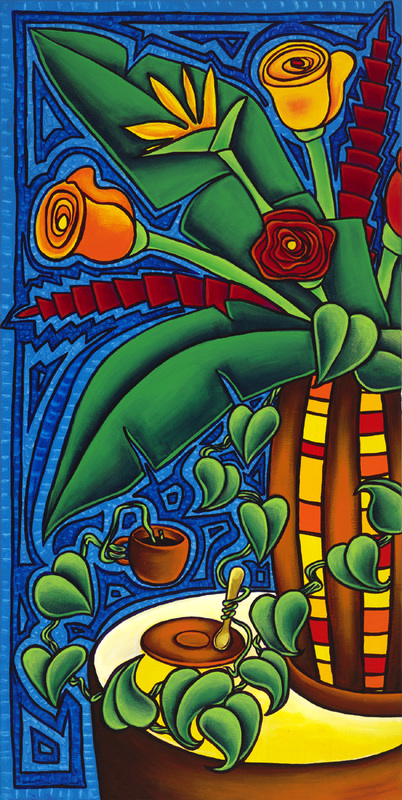 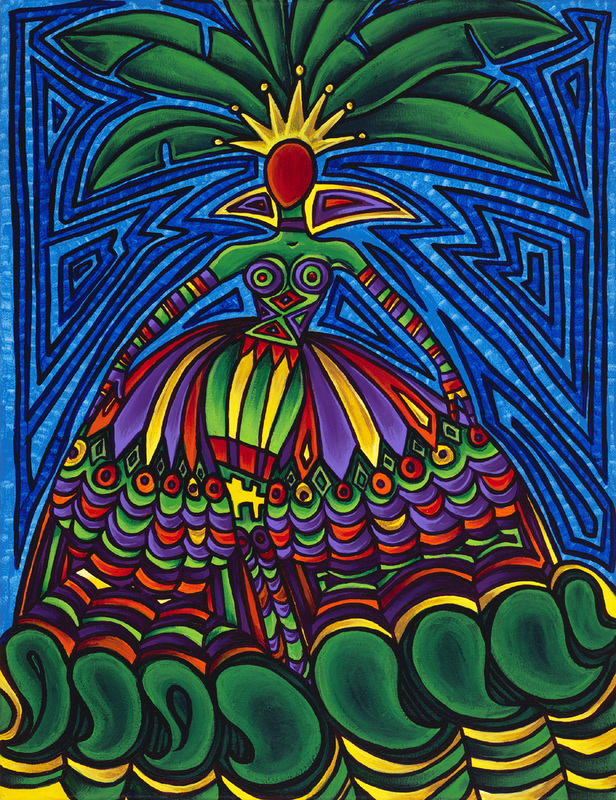 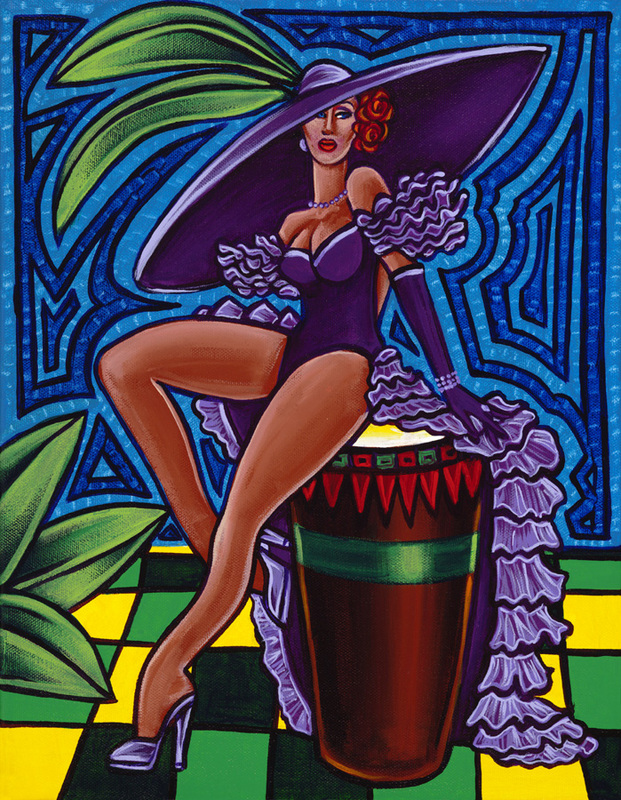 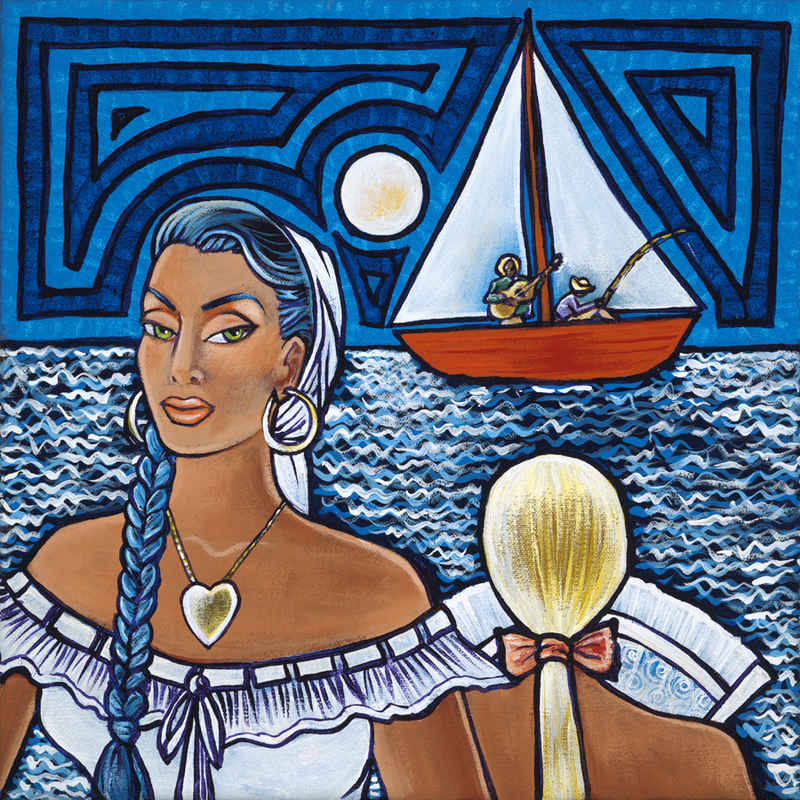 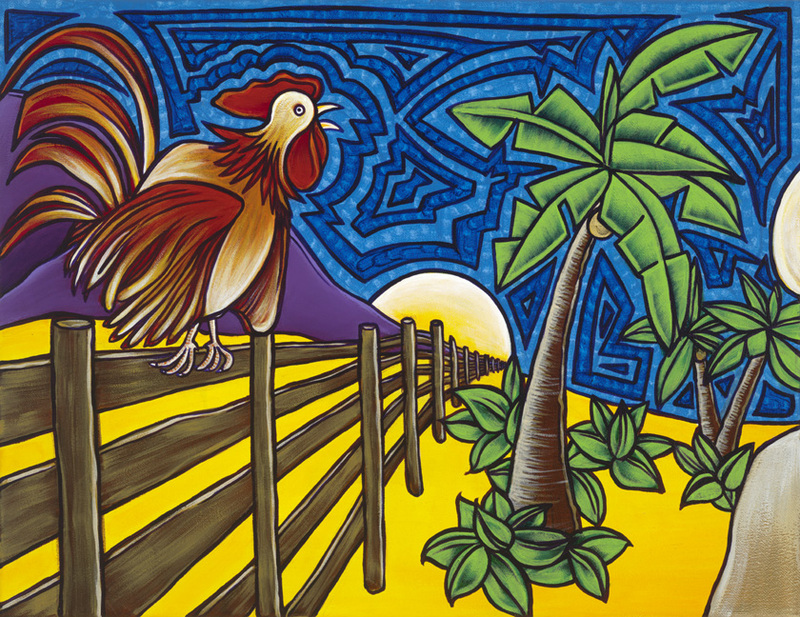 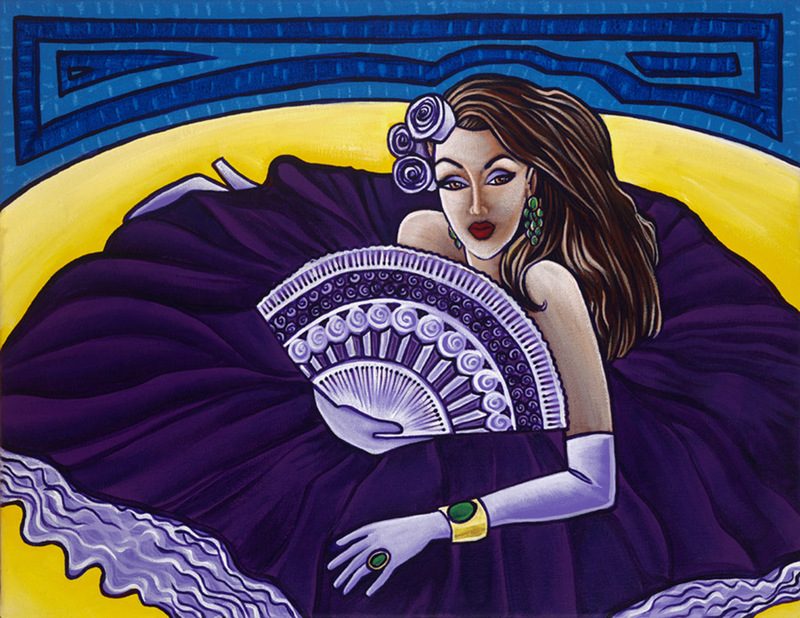 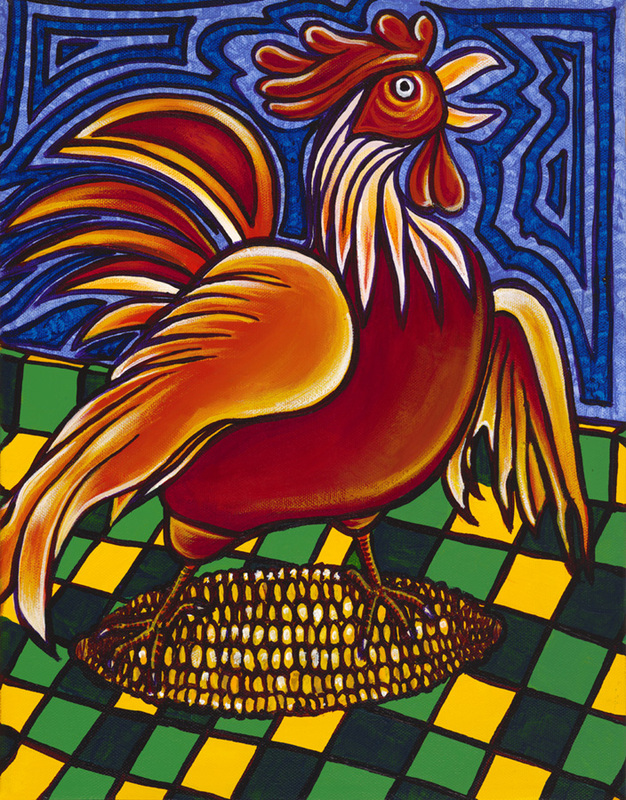 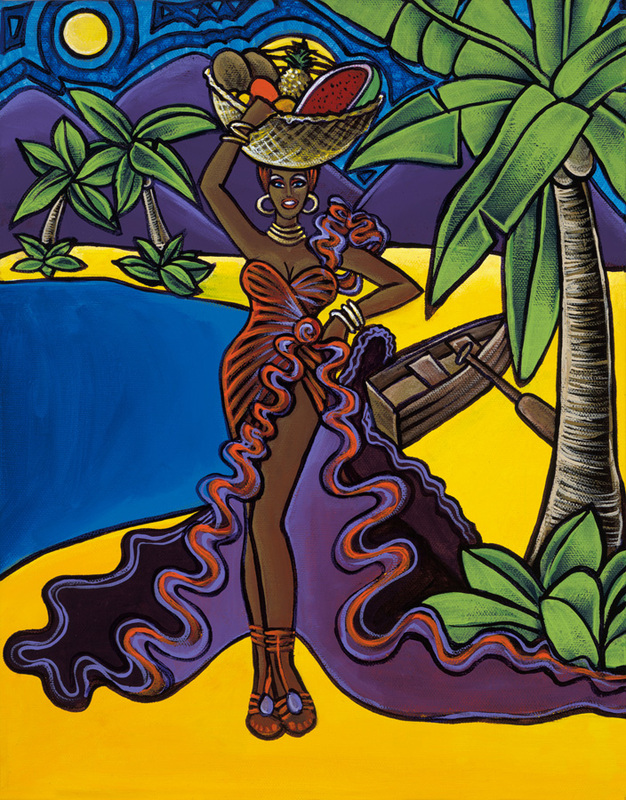 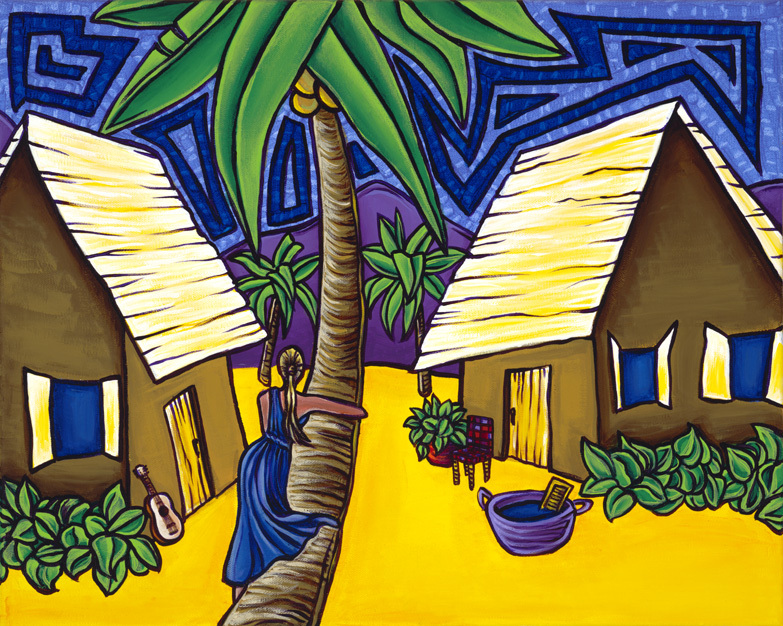 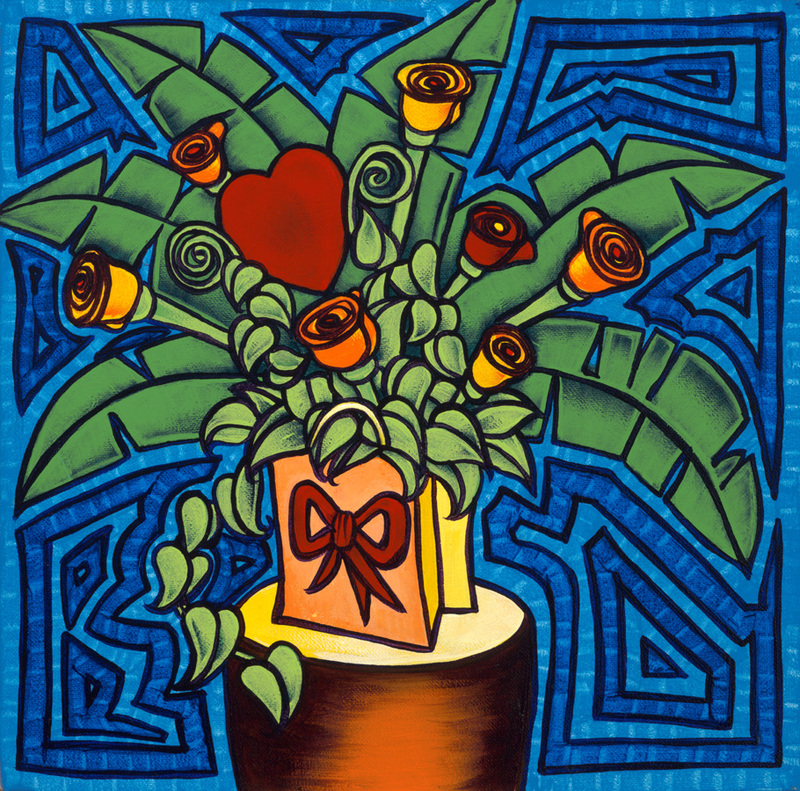 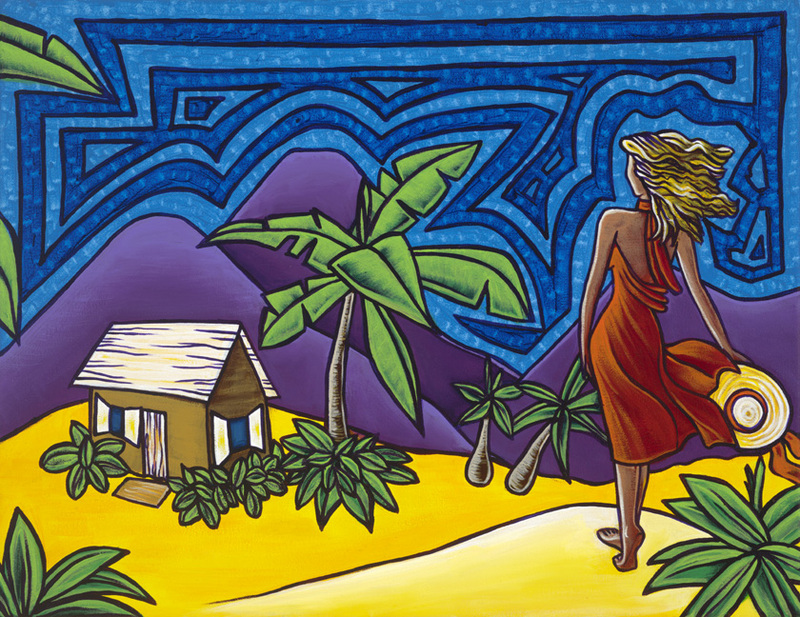 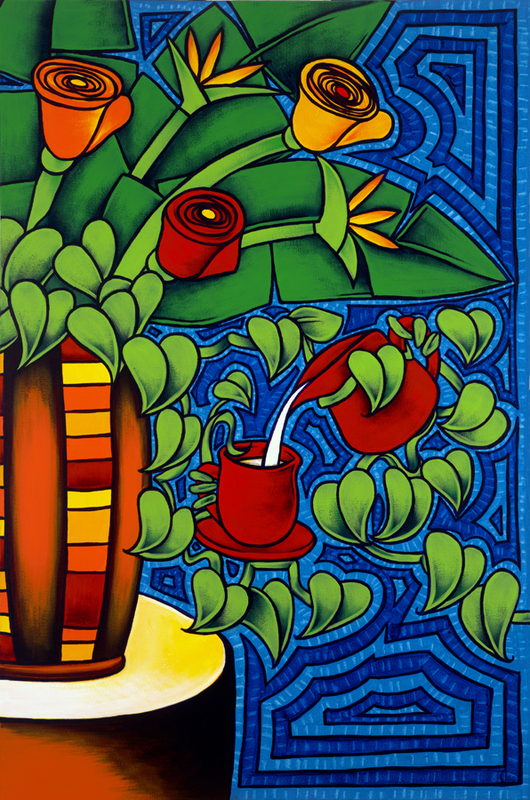 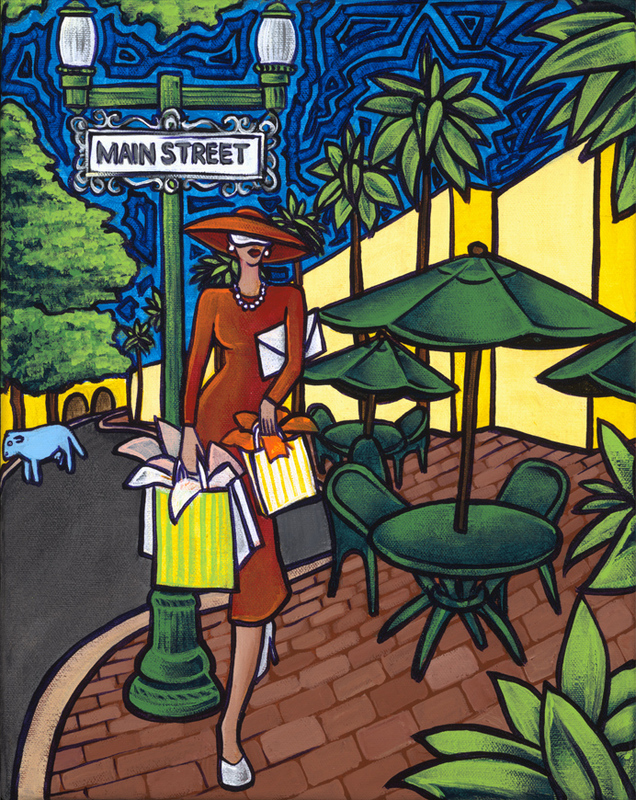 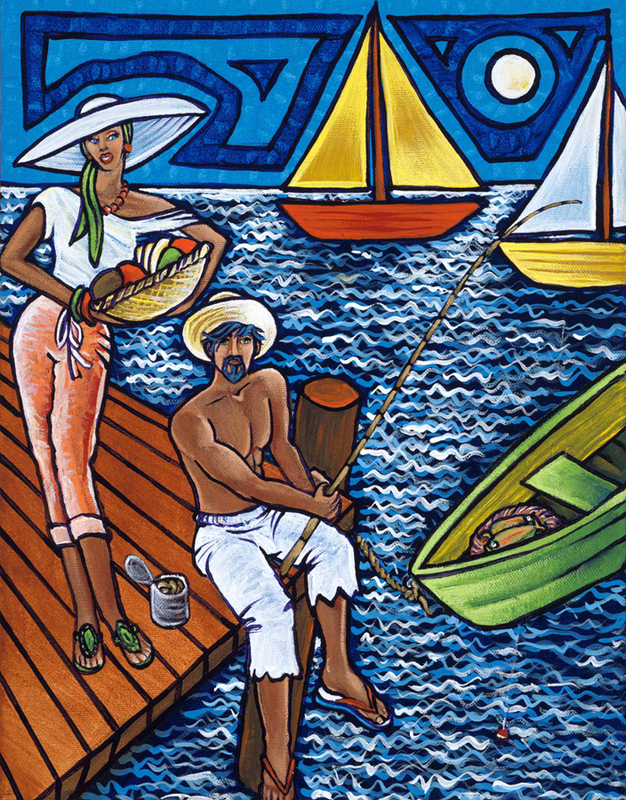 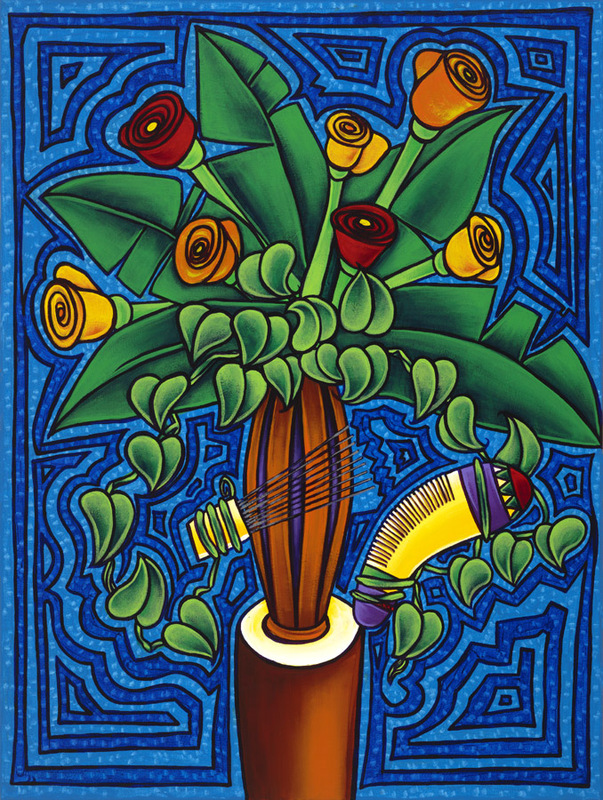 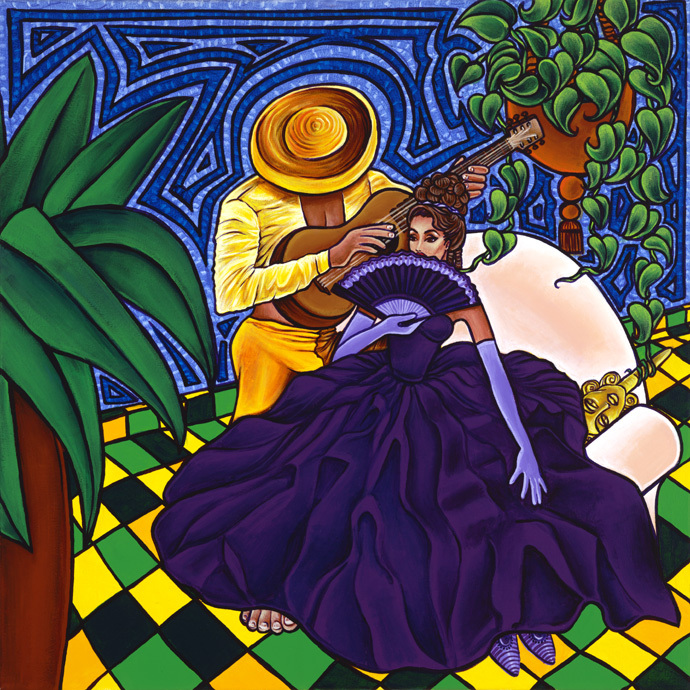 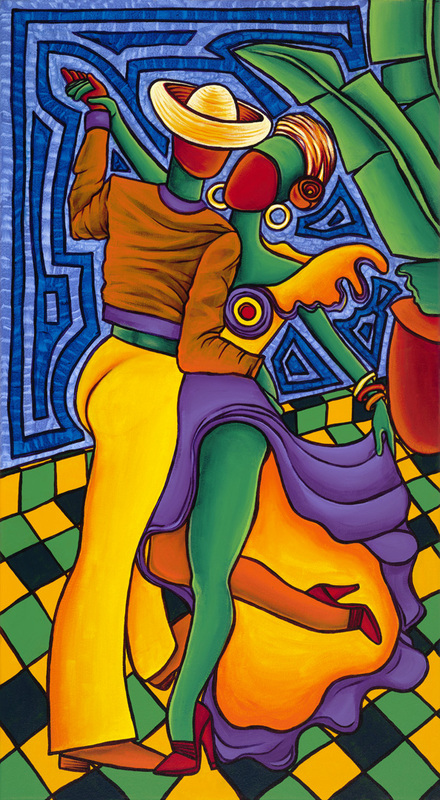 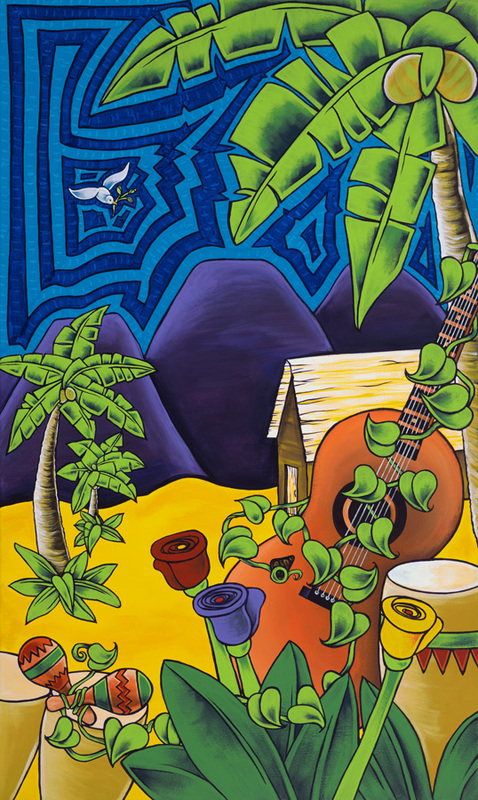 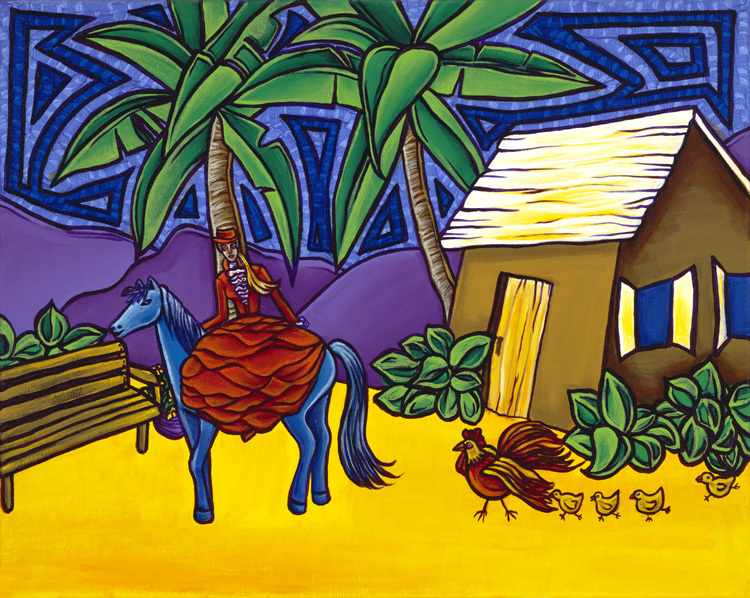 To view only Available Originals from the Afro-Caribbean Series, click on the Quick Link HERE. 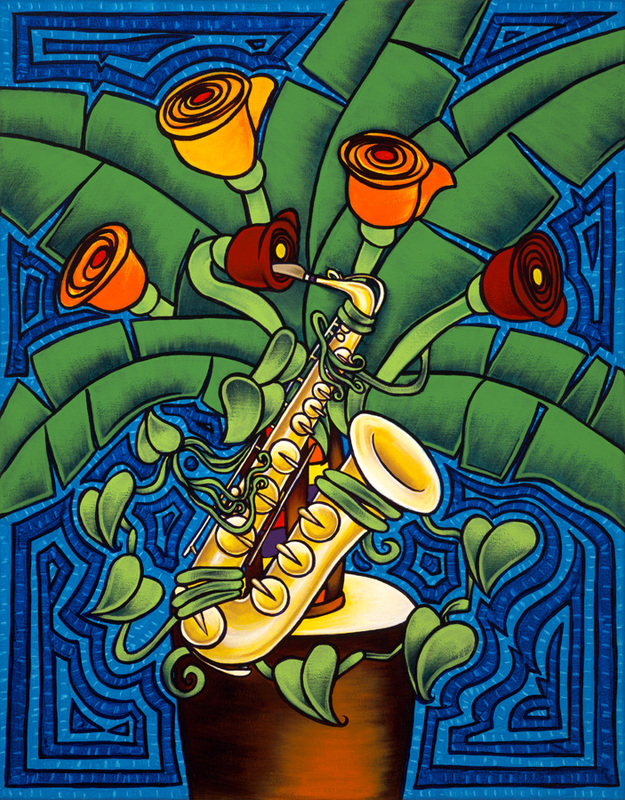 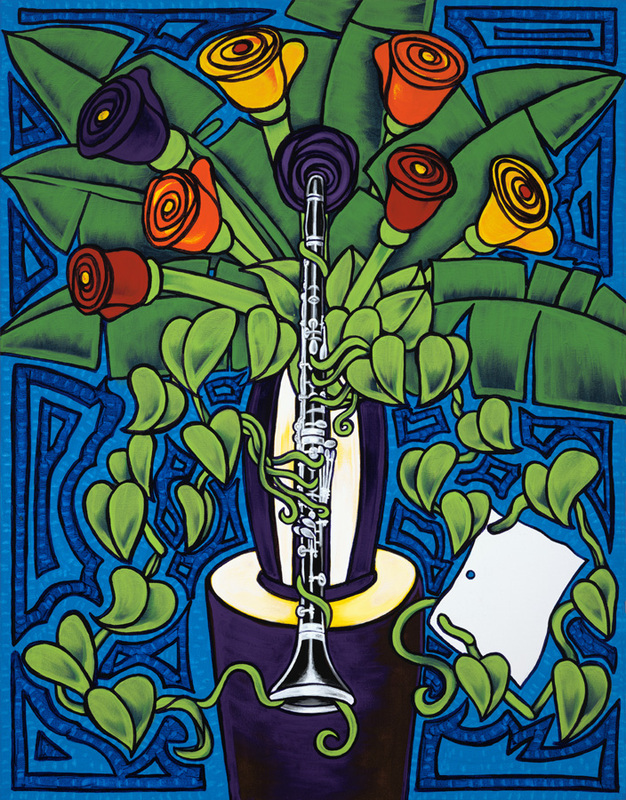 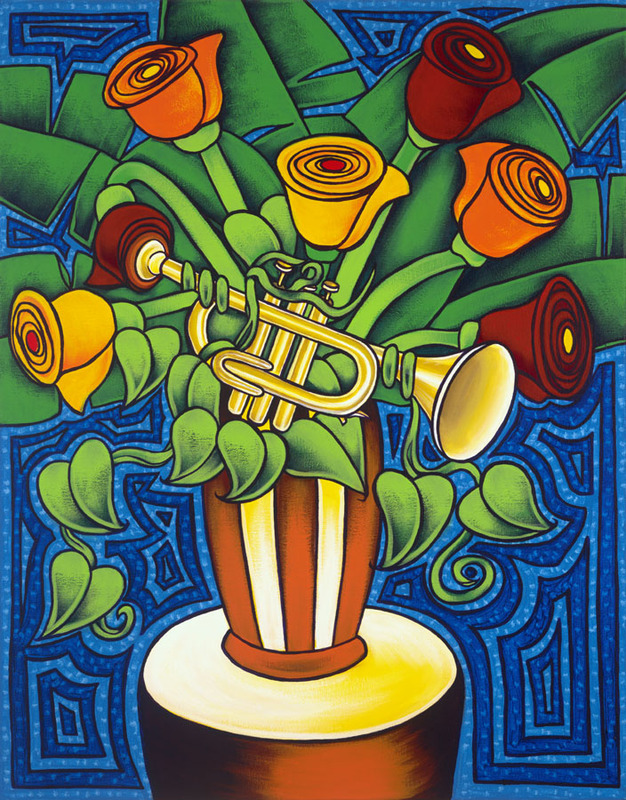 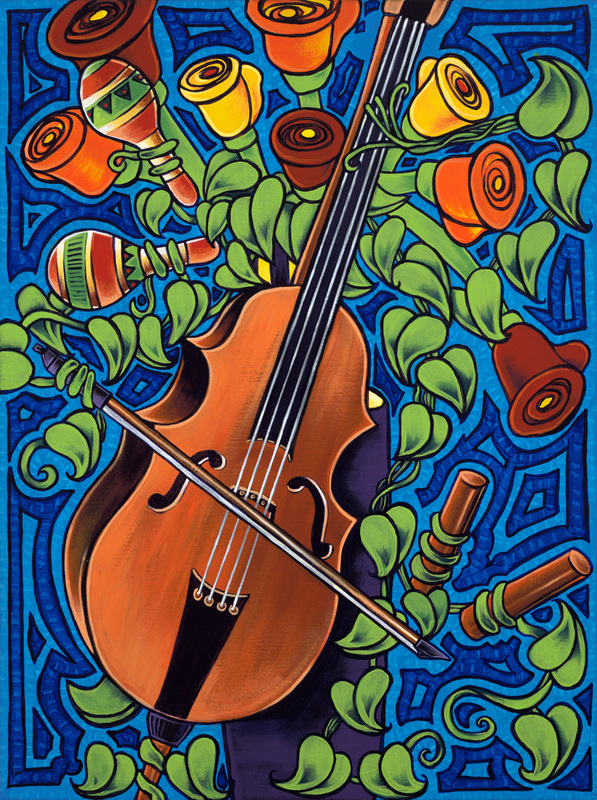 Flowers with Clarinet & . 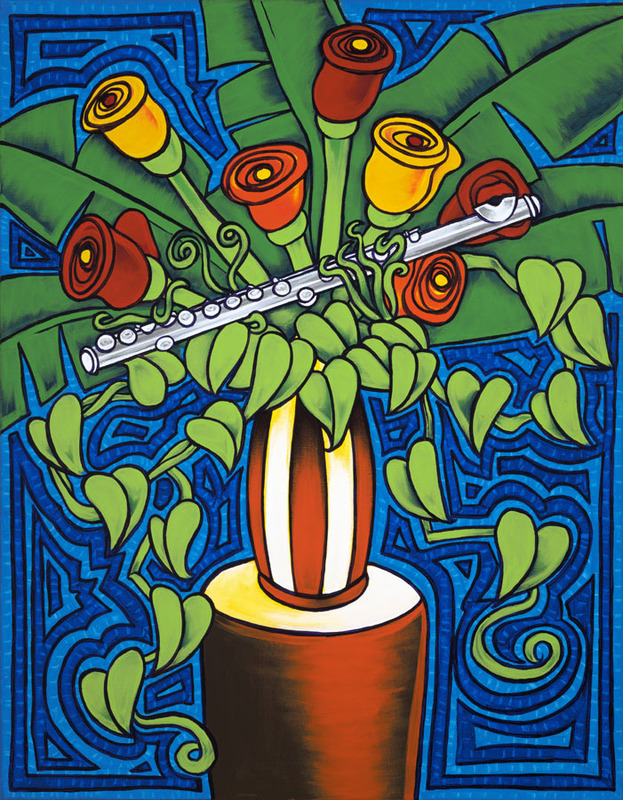 . . / Flores con Clarinete y . . .